I can’t begin to explain how much I love this quote. Simply stated yet hard hitting (as most quotes are). So often, in the busyness of life, I tend to overlook moments. The moment the sky turns from bright blue to burnt orange. The moment a favorite song comes on the radio. The moment a stranger gives a sincere smile. The moment the world quiets down. The moment the moon comes up. The moment the world falls asleep. Moments are what we reflect upon. Whether it is a sad moment, an angry moment, a happy moment. 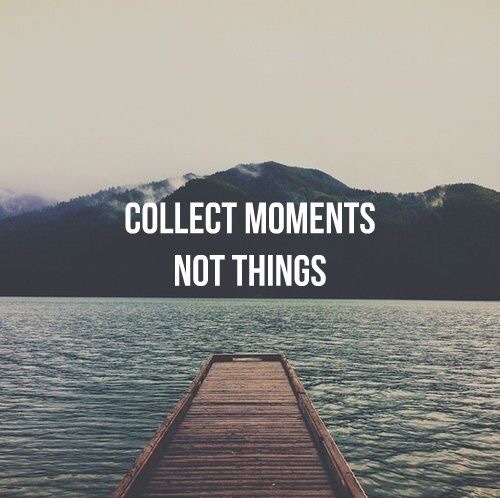 Moments are what makes life worth living.